That’s not self-congratulatory bragging, that’s just a cold, hard fact. So many of us fresh out of college try to prove ourselves by throwing everything we have into our work. We sweat and curse our way through traffic to get to what are all-too-often jobs with bad pay and worse stability. At work, we drive ourselves relentlessly forward, frequently burning out by noon and spending the rest of our day in an exhausted bid to catch up. After nine+ hours of the grind, we sweat and curse our way back home where we veg out on the couch with mind-numbing TV, only to peel ourselves off of the couch hours later, feeling sore and wasted. We drink ourselves into oblivion for a few hours on Friday only to spend half of Saturday praying for the sweet release of death. I've been there, and let me tell ya, it doesn't work. We can roar that “we'll sleep when we're dead,” but at the rate we're going, that might be a whole lot sooner than we think. 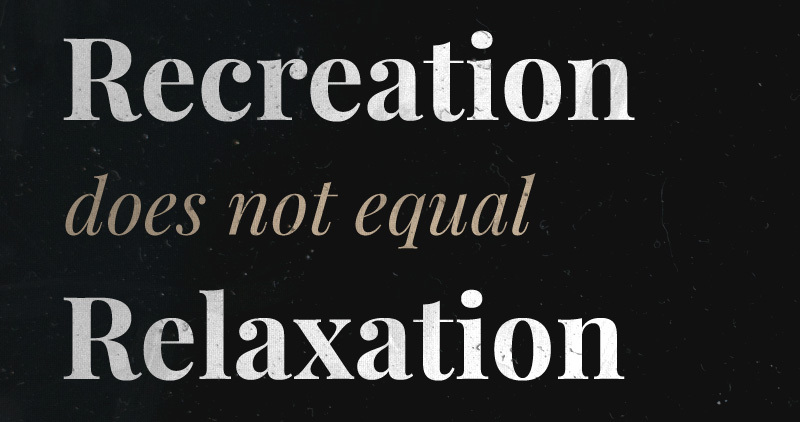 Relaxation isn't a luxury, folks, it's a necessity. This “default setting” that we fall into whenever we’re not engrossed in a task is critical to our wellbeing. In this state, we’re able to essentially withdraw from our immediate surroundings and take time to simply “process.” We’re able to review and consolidate information, plan our futures and examine hypotheticals, and simply manage our own thoughts and feelings. The fact of the matter is that relaxation not only gives us the energy and good health to face our challenges but the motivation and mental fortitude to conquer them, both at work and in our personal lives. It provides us time to discover new skills and sharpen old ones. It gives us the chance to reacquaint ourselves with the passions and goals that fuel us. It improves our all-important willpower. It is, quite simply, what allows us to be the best possible versions of ourselves. So why can't we do it? We have everything we could possibly want, don't we? Every imaginable kind of music, every movie. Video games, books, food, drinks, sexual partners only an app away – even the poorest among us would still have enough to make a Roman emperor vomit out of sheer envy. But we still just can't seem to unwind. So maybe the problem isn't with our shiny new toys. Maybe the problem is with us. We have such a bad approach to stress in this country that we automatically assume that anything that isn't work is, by default, relaxation. And that's just not true. 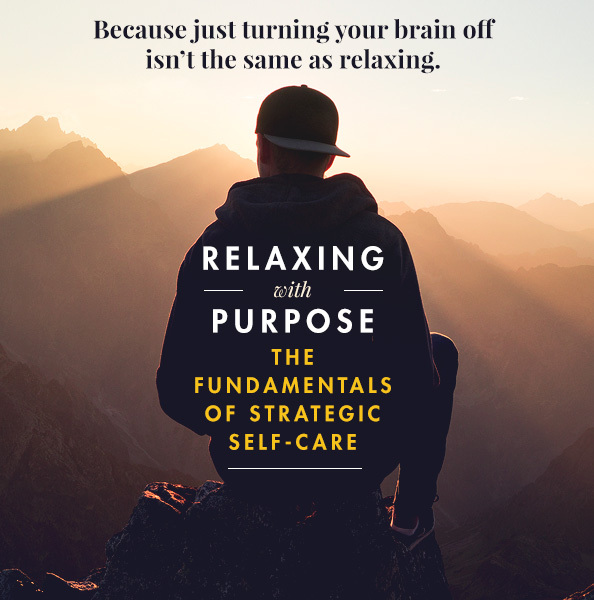 The problem is that we're not relaxing with purpose. That doesn't mean telling ourselves “gotta relax, gotta relax, gotta relax” over and over. That doesn't mean finding that sole, single hobby that we enjoy more than anything. It's about being strategic. It's about mindfully and intentionally taking the time to identify, isolate, and exorcise whatever physical and psychological demons are giving us grief. One of the worst mistakes we can make when it comes to unwinding is also one of the easiest – and that's mistaking relaxation for recreation. 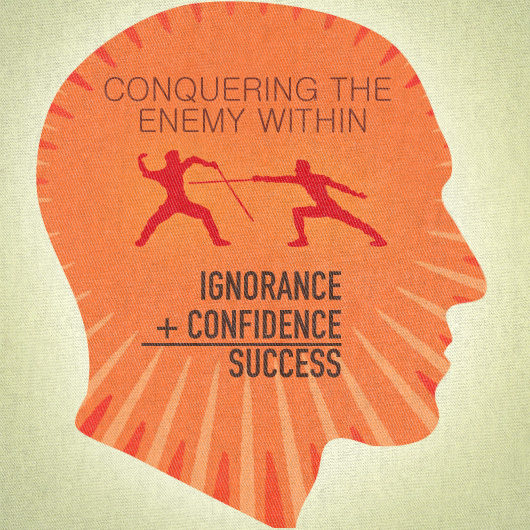 As we encounter stress, our instinct may be more inclined towards fleeing than fighting. When we run into difficult, tasks, painful realities, and soul-crushing worries, our natural reaction might very well be to throw up our hands and declare “Y'know what? **** this. I'm out.” And at that point, plenty of us will promptly walk away and try to immerse ourselves in something – anything – else. And that's not always a bad thing. We're not designed for constant stress, and our dislike of it doesn't make us weak, it makes us human. Relaxation (not leisure, but relaxation) is the conscious and strategic steps we take to prepare ourselves for stress. Relaxation isn't about distracting yourself with some new thrill, it's about releasing stress, irritation, doubts, and anger. As easy as it can be to try to ignore those issues with some shiny new diversion, left unchecked these little demons will run you ragged. Relaxation has to be conducted with purpose, and that begins with actually knowing what's bothering us. We can't just get pushed this way and that by some giant, nebulous cloud of unresolved anxiety and frustration. Relaxation is the conscious and strategic steps we take to prepare ourselves for stress. Relaxation isn’t about distracting yourself with some new thrill, it’s about releasing stress, irritation, doubts, and anger. And no, this isn't yet another article that tells you the solution to your problems is taking deep breaths. That said, deep breaths help. A lot. The revolutionary French thinker Rousseau is said to have defined happiness as “…a good bank account, a good cook, and a good digestion,” and there's a reason two of those three points have to do with eating. Sleep needs to be your number-one priority in creating a foundation for physical and mental wellbeing. The reality of the situation is that sleep has a direct link to your ability to make good judgments. You will not be able to successfully plan out (let alone follow through on) plans for restoring your health unless you have the clarity of mind that only a good night of sleep can bring. Ted Ryce of the aptly-named Legendary Life Podcast gives us a great breakdown for restoring a healthy sleep cycle. A recent study found restricting 24 year old guys to 5 hours of sleep for 5 days reduced testosterone by 10-15%. Testosterone is more than just a man’s libido hormone; lowered testosterone levels causes your body to not recover as quickly, resulting in poor memory, and reduced problem-solving skills. Sleep deprivation causes increase cortisol. Our bodies make almost all of the testosterone we need while we’re sleeping. If you’re trying to improve yourself in any way, whether that’s advancing in your career, losing weight or getting in amazing shape, developing your own business, getting things like depression and anxiety under control, or any of a million other things, YOU. HAVE. TO. GET. GOOD. SLEEP. If you’re not, you are actively working against yourself. Some solid, simple food in you that's going to keep you feeling and functioning well in the long-run. I shouldn't have to say it, but drink some water – enough to actually keep you hydrated and focused. Exercise, even if it's just for a few minutes. Study after study has proven that exercise not only reduces fatigue and frustration but actually enhances your ability to feel pleasure. There's nothing like a bit of nature to give both our body and minds a much needed hard-reset when things get overwhelming. Whether it's a grueling weekend backpacking trip through the wilderness or a simple stroll through someplace green, taking some time to immerse ourselves in nature provides us with both the opportunity to exert ourselves physically while being provided some much needed perspective. There's nothing quite like the sight of a centuries-old tree or the great expanse of the stars to remind us that our schedules and timeframes aren't the only ones out there. If at all possible, schedule some time (even if it's just once a month) to get back to the great outdoors. And if that's too much, then at least try getting some sunlight – which has a plethora of benefits, from improving health to combatting stress to keeping your sleep cycle on track. That's the simple truth of it – bodies that we treat well are bodies that will treat us well. In spite of our best efforts to keep 'em separated, the lines between our work lives and our personal lives continue to blur and depending on the nature of your work, they might not even exist in the first place. But they absolutely need to. While we should do our utmost to take pride in our work, the brutal truth is that the more talented and reliable we become, the more our bosses will ask of us and the more our coworkers will rely on us. With that in mind, we need to establish clear and concrete limits on our availability. On the job we should make it understood that “I'm taking a fifteen minute break” means “I'm taking a fifteen minute break – the world will manage to keep spinning!” Away from the office, set entire blocks of time aside to be phone or e-mail free. Limits on your relaxation time? If you're anything like me, you crave the weekends but feel absolutely miserable when they finally roll around. Why? Because you try to cram everything you can in there. You might be halfway through an episode of your favorite show and already thinking about the other things you wanted to do. You're going to want to be careful with limiting yourself – especially when it comes to something passive, like vegging out with Netflix or diving into a video game. It's binging that can be the most tempting, and what starts as healthy relaxation can quickly devolve into simple distraction – and they are not the same thing. Knocking back a cold, crisp can of soda on a blistering day is refreshing. Drinking ten cans of the stuff will leave you feeling bloated, sick, and lethargic. No matter how bad of a cliffhanger the episode might leave you on, no matter how close you are to beating that level, you need to be able to simply walk away before you poison your own source of pleasure. And you might find the solution in doing shorter breaks more often, rather than trying to marathon your “me-time” in the space of 48 hours. One of adulthood's hard truths is that we're going to use our precious weekends for doing everything we couldn't fit in during the week. Laundry. Grocery shopping. Oil changes. Haircuts. Again, that can make the weekends miserable – trying to balance your personal duties with your personal enjoyment. Be better at pacing yourself in the work week. Even if it's just half an hour a day, use it to focus exclusively on moderate, mindful self-repair. Your success in life is going to be heavily influenced by your ability to create a healthy work-home balance, and balance is the key word here. Seesawing wildly back and forth between brutal sessions of work and decadent hedonism can work, just not for very long. If you’re going to make things sustainable over the long term, you’re going to need to find your own middle ground. It's not always the same degree of tough, and not every injustice needs to be suffered through with martyr-like patience, but life will never be perfect. Stress, pain, worry, struggle- these are constant features of life. And if wear and tear is going to happen on a regular basis, then so does purposeful relaxation. Don't make it a habit, make it a discipline. One of the best pieces of advice I was given came to me in college. I was told that if I was going to be as productive as possible I should never do my work and my relaxation in the same place. Both would suffer from the shared association – I'd try to do my work and only be distracted by the impulse to relax, and whenever I'd try to relax, I'd be thinking about work. Keep the two as separated as possible – if you've got a beanbag in front of the TV, keep your papers and bills away from it. If you've got a desk where you're hammering out your taxes, keep your phone somewhere else. It might sound ridiculous at first, but I'd even go so far as to suggest having a specific set of clothes just for relaxing (it doesn't have to a smoking jacket and fez, but it doesn't not have to be that either). And you do have to keep 'em separated. No distractions means no distractions. No checking e-mail, no doing housework, and certainly no pitiful attempts at fooling ourselves into thinking we'll just “make it up”. How many times have we promised to take better care of ourselves? Get a solid night's sleep? Start eating better? Respecting our own limits? And how many times do we actually keep those promises? There's no one out there who knows us better than us, and no one more equipped to address our needs than ourselves. If we don't make the effort to keep ourselves in good condition, then who will? Start prioritizing good sleep. 8 hours if you can swing it. And that doesn't include what time you lay down and then Tinder for 30 minutes. 8 hours of sleeping. Stop thinking of relaxation as the same thing as recreation. You're not binging 12 hours of TV shows because you're investing in relaxing, you're doing it because you want to watch TV. Getting out in nature twice. A hike. A solo beach day. Staring at the stars. Turning work off on the weekends. If absolutely necessary, have built-in times for when work can be done, and turn it off the rest of the time. Planning time to watch your shows, play your video games, or falling down a forum rabbit hole allows you to enjoy them without feeling like your procrastinating. If you're married or have a family, building in time to be by yourself. Not just when you're mowing the lawn or grocery shopping. But away, by yourself, to recharge in a way that can only happen alone. No excuses, it can be as little as 30 minutes. Drinking enough water throughout the day. A lot of fatigue isn't tiredness, it's dehydration. Exercising – No excuses, if all you can do is a jog around the block once and do 10 push ups, then that's what you'll do. The Yin to relaxation's Yang is movement. Lethargy isn't caused by moving too much, it's caused by not moving at all. Meditating – It doesn't have to be hard. Start with 5 minutes per day. Read our guide on meditating to get going. Pay attention to your own signals about when you need a break. All those times you're opening a new tab to surf Facebook or check the news for the 10th time today or swiping a billion times is a signal your brain needs to recalibrate. Instead of doing it under the guise of these activities, get up and walk around the block or meditate or stretch. Good article. We inherently mismanage our bodies and daily activities and need to define a goal or path to positively grow. I think you hit some great points. I am a crossfitter and some of our biggest queues for living a healthy life are enough sleep (one of the best recovery methods), eating to support an active lifestyle (some follow specific plans like Zone, Paleo, Ketotonic, etc), training (sounds better than working out because that sound like a chore), and active recovery (meaning we get outside, out of the gym and just be, hike, kayak, play a sport, swim, etc). I notice a total difference when I abide by these principles rather than just veg out and binge watch some show on Netflix. I am happier, healthier, and so much more social. Thanks again for the article. Always a good stop on my workday. I have been trying to consistently get into meditating, but its been difficult. If you want to start practicing mindfulness and meditation or simply prefer a guided meditation I highly recommend the app Calm. Its insightful, and I love the narrators voice. The free content is great, and I’m definitely considering paying the yearly subscription. I think the most important thing to note here, across the board, is establishing a routine – a routine influences every issue above, especially sleep. It is very tempting to stay up late on weekends, go drinking, etc. Well said. It’s up to ourselves to lead an intentional life. Great Read! Always thought my hobbies was relaxation but now this opened me up and already planning my recreation (time,when,what to do). Looking forward to the results.